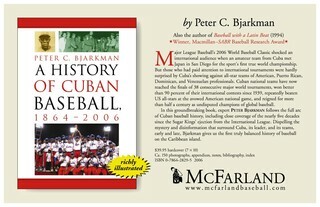 Bjarkman's seminal Cuban baseball history was the top-selling McFarland baseball title (among 250-plus titles in print) for February 2007 and March 2007. The volume also ranked second on the McFarland list for April 2007 and fourth for January 2007. Reviewers have been generally enthusiastic in their positive evaluations. Major League Baseball's 2006 World Baseball Classic shocked an international audience when an amateur team from Cuba met Japan in San Diego for the sport's first true world championship. But those who had paid attention to international tournaments were hardly surprised by Cuba's showing against all-star teams of American, Puerto Rican, Dominican and Venezuelan professionals. Cuban national teams have now reached the finals of 38 consecutive major world tournaments, won better than 90 percent of their international contests since 1939, repeatedly beaten U.S. all-stars at the avowed American national game, and reigned for more than half a century as undisputed champions of global baseball. 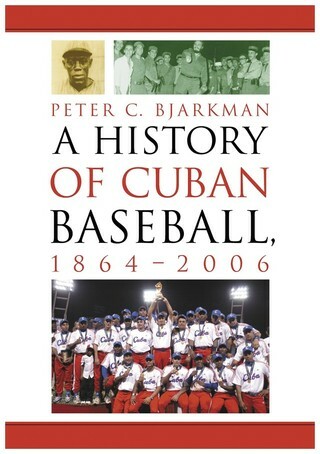 In this groundbreaking book, expert Peter C. Bjarkman follows the full arc of Cuban baseball history, including close coverage of the nearly five decades since the Sugar Kings' ejection from the International League. Dispelling the mystery and disinformation that surround Cuba, its leader, and its teams, early and late, Bjarkman gives us the first truly balanced history of baseball on the Caribbean island. 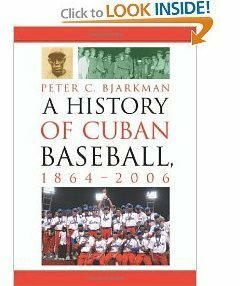 The first detailed history of Cuban baseball that gives equal treatments to both the post-revolution Cuban (Amateur) League (1962-2006) and the pre-revolution professional Cuban (Winter) League (1878-1961). 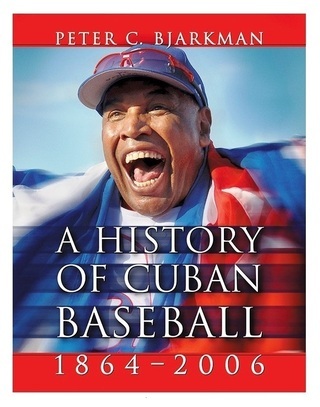 Detailed narrative history, abundant statistics, year-by-year summaries of all Cuban League seasons through 2006. 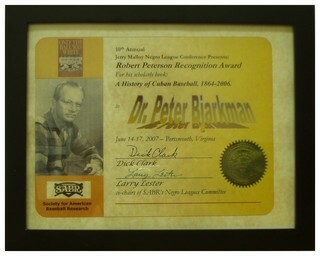 Discussions of recent defections of Cuban players to the majors, Cuba's role in baseball detente, and the special features that make current Cuban League play the most unique (and perhaps the best) baseball spectacle found anywhere.